Edmonds, WA (October 27, 2017) – On October 24, 2017, over 500 people joined together to engage in a community-wide training seminar on supporting people with dementia at the Edmonds Center of the Arts. The event featured guest speaker Teepa Snow, a nationally recognized expert in the field of dementia care. It wassupported by a coalition of nine local and national healthcare organizations and led by Koelsch Communities’ Cedar Creek, Jefferson House and Madison House Memory Care Communities. The joint effort paid off with attendance from over 175 family caregivers, over 200 professionals, and around 150 additional attendees, each excited to hear Teepa speak. Cindy Weber, Director of Community Relations for Cedar Creek, commented, “Often these events are attended primarily by professionals. So, we were surprised that over 175 family caregivers participated in Teepa’s all-day training.” With a turnout like that, it was immediately clear there was a need for dementia care support and training in both North King and Snohomish Counties. The day was filled with upbeat spirits and laughter as Teepa incorporated a philosophy reflective of her education, work experience, available medical research, and first-hand caregiving interactions, into her engaging teaching style. Cedar Creek is responding to this visible need by pairing with local organizations to create and support programs that will serve our community with the unique needs of memory loss and dementia. As a speaker, Teepa has received numerous accolades and accomplishments and been made instructor to over 60 international organizations because of her uncanny ability to present a very emotional topic in a natural, educational, and easy-to-digest format. This seems to be the birth of what is growing to be an expansive network of dementia-focused education in North King and Snohomish Counties. Cedar Creek plans to host several follow-up training sessions, along with other, further encompassing events. 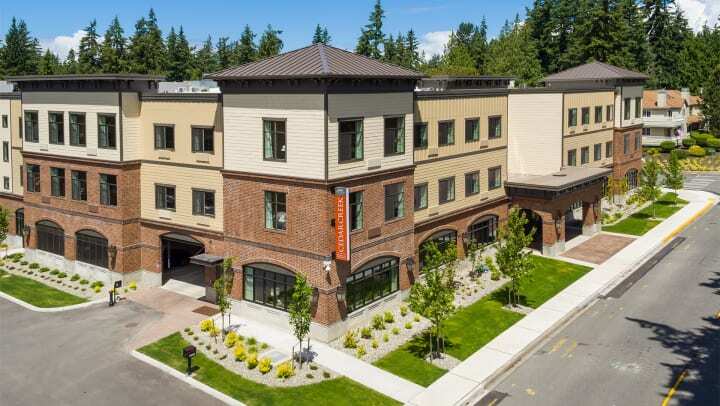 To learn more about dementia-focused educational and interactive events at Cedar Creek Memory Care Community in Edmonds, WA, call 425-366-7746, Jefferson House Memory Care Community in Kirkland, WA, call (425) 492-0944, and Madison House Memory Care Community in Kirkland, WA, call 425-243-9985. Or visit KoelschCommunities.com for a list of resources in your region. Koelsch Communities operates 27 communities in seven states and is continuing to grow with nine communities under construction. Koelsch Communities leads the industry in Memory Care by training and employing licensed nurses and professional staff on-site 24 hours a day, and is committed to bringing dignity, respect and the highest standards of service to our residents and their family members.